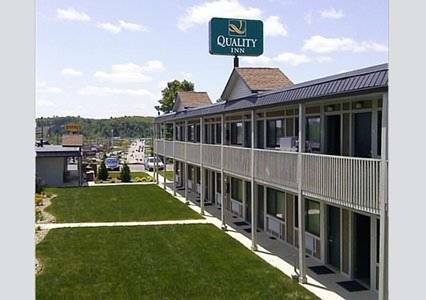 Get more for your money at the Quality Inn hotel in Cambridge, OH near Utica Shale Region. This pet-friendly hotel is near destinations like Dickens Victorian Village, Historic Downtown Cambridge, Southeastern Ohio Regional Medical Center, Pritchard Laughlin Civic Center and Salt Fork State Park. Enjoy amenities like free breakfast, free WiFi, picnic area, seasonal outdoor pool and access to a computer, copy and fax services. Guest rooms include a flat-screen TV, coffee maker, microwave, refrigerator and hair dryer. Also, earn rewards including free nights and gift cards with our Choice Privileges Rewards program. This is a pet-friendly hotel. Jeff Davis -- a bad man -- was whacked with a fireplace poker and lynched by the citizens of Ragersville, earning it the nickname "Hangtown." Davis's skeleton (and the poker) are displayed in the town museum. A pinkish, stony-faced pioneer Mom, in a long skirt and bonnet, strutting westward with an infant in her arms.